This book deals with the different aspects in the development of new technology called Claytronics. Claytronics are basically programmable matter which can combine to form an amazing assortment of physical objects, reassembling into something entirely different as needed. 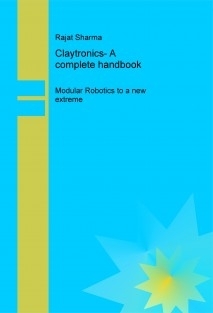 This book provides the basic knowledge necessary to understand the basic concept involved in the fields of claytronics. It covers a total of 5 chapters. Chapter 1 deals with the basic introductory concept of Claytronics. Chapter 2 gives detailed information about the Claytronics project undergoing at Carnegie Mellon University. This section gives description about the hardware and software involved in claytronics. Then, the capabilities of catoms/claytronics is described in Chapter 3.The application part is discussed in Chapter 4.In the last, a brief conclusion and future aspects is discussed in Chapter 5. The plan of this book is to present the detailed information in simple language. This book is suitable for the self-study by engineers and scientists who need to acquire the basic knowledge of Claytronics.